Welcome to the sleepy Cornish island of Penfurzy, where nothing exciting ever happens. Or does it? We join Demelza and her new best friend in the whole world, Nessa, as they explore the island and uncover the mysteries of the Penfurzy Knights. Gabrielle Kent introduces her new mystery novel for ages 7+. Featuring Chopper bikes, medieval pickled heads and boom boxes, Gabrielle will read and discuss themes behind the book, as well as the use of stories in video games. 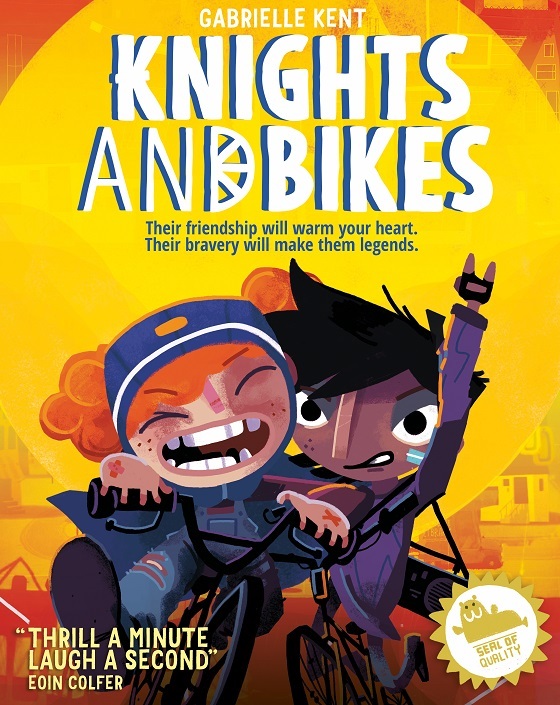 Gabrielle Kent is the author of the Alfie Bloom mystery series and Knights and Bikes (Knights Of), which is based on a video game of the same name. She teaches computer game technology at Teeside University.